Correction: Elanor Starmer is the Special Assistant to the Under Secretary for Marketing and Regulatory Programs, USDA. 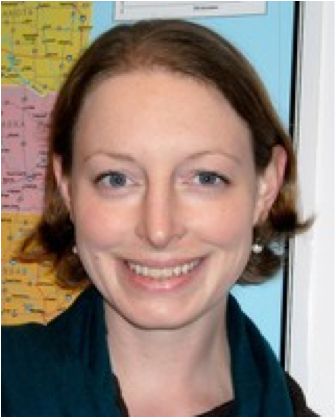 Elanor Starmer, MS and MA, graduated from the Friedman School and the Fletcher School as a dual degree student in 2007. In fall 2011, Starmer left her position as the Western Regional Director for Food and Water Watch in San Francisco to accept a position with USDA as the Special Assistant to the Under Secretary for Marketing and Regulatory Programs. She has previously worked in human rights policy in Washington D.C and as a consultant for family farms organizations in the Midwest. I had the opportunity to speak with Starmer via phone in February, and hear about her experience at Friedman. How did you become interested in food policy and agriculture? I have always been interested in agriculture. I grew up in a rural farming community in New Hampshire and worked on a neighbor’s organic farm throughout my adolescence. It might seem like a bit of a hazy connection, but my mom was a high school Latin American History teacher, and because of this, I grew up intensely interested in Latin America and specifically in Latin American agriculture. Tell me about your path to the Friedman School? After college, I did some work in Washington D.C. in human rights advocacy. My focus was on Latin America and as I learned more about US trade policy, I began to understand how deeply it impacted Latin American farmers. I came to Friedman intending to study the connection between US agriculture and trade policy and its implications for both Latin American and US farmers and was accepted at Tufts as one of the first dual degree AFE and Fletcher students, which gave me three years to study both agriculture and development economics. Once at Tufts, I received a fellowship with the Global Development and Environment Institute (GDAE) to work on a project centering on US farm policy, which is what got me interested in domestic work. What were some of your formative experiences while at Friedman? Besides discovering my passion for domestic agricultural policy here, I was also able to cement my interests in both domestic and Latin American agriculture during my internship experiences. For my internship requirement at Friedman, I spent the summer in El Salvador working for the agriculture policy office for the Organization of the American States and studying rural smallholder farmers. I also spent a summer in Iowa researching midsized hog producers, which ultimately defined my future professional trajectory. Now that you have been at the USDA for a few months, do you have any wisdom to share on working in policy? Just as you might think, working in policy can be extremely slow and frustrating in the face of very real need. It’s important to learn to manage the frustration with the process and to remember why you are doing the job in the first place. I have always believed in public participation in the political process and see my work at USDA as an important experience in understanding the inner working of policy creation. I hope to use this experience later to better help people engage with the political system. And finally, do you have anything you would like to say about your time at Friedman? My time at Friedman helped me identify my true passion and acquire the necessary skills to pursue it. I felt most at home at Friedman and am grateful for the content knowledge and the skill set that the program provided. I also think that it’s important to remember that the student body is an incredible resource; be sure to invest time and energy into cultivating relationships. Your classmates will become your future professional peers. I can’t tell you how many Tufts alum I run into at USDA alone. Mackenzie Sehlke is a first year Food Policy and Applied Nutrition student with Agriculture, Food and Environment leanings. She is persistently interested in food justice, urban food systems and finding the best latte in Boston.